And the new 2014 setup. Tripod to No Tripod – Faster, more flexible. Ambient light is low so it has little effect on image quality. Action stopped by flash not shutter. Generic silver beauty dish to Profoto Spoftlight Reflector in white – Larger light source, white interior means better control of specular highlights, image quality. Light stand to voice activated light stand (James) – Faster, more flexible. Medium to Large Backdrop – Masters using weapons or kicks are less likely to move beyond borders of background. 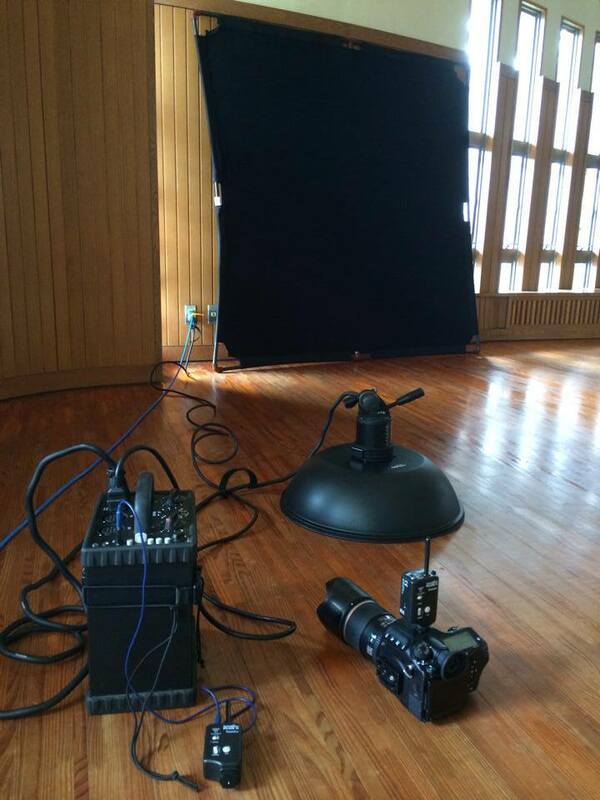 Profoto 7a generator, heads and PocketWizards are exactly the same. They still work and do an awesome job. I can now work faster, allowing me to get a wider selection of images in a shorter amount of time. Yesterday I set up the gear at the Budokan in Naha during a karate seminar. 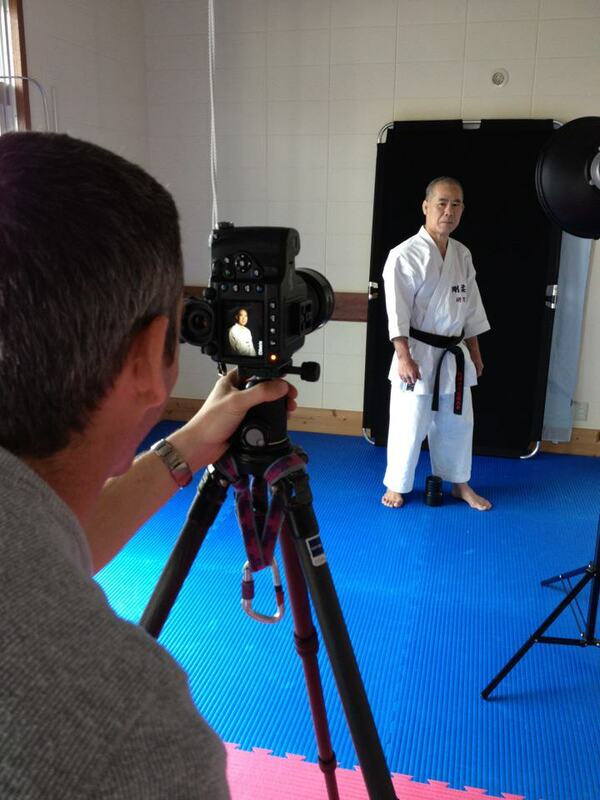 James and I were able to meet numerous karate masters we had already photographed which was a real pleasure. We had a book of prints to show them how the project has progressed, and they then encouraged the other sensei to get involved. Hi, i wanted to congratulate you for you gorgeous pictures. I’m working with Pentax too, i’ve a K3, theses are awesome DSLR. I’m actually contacting you because we have a Kuydokan Dojo here in France, Nimes city, we are under the supervision of Patrick Rault Sensei from Perpignan. 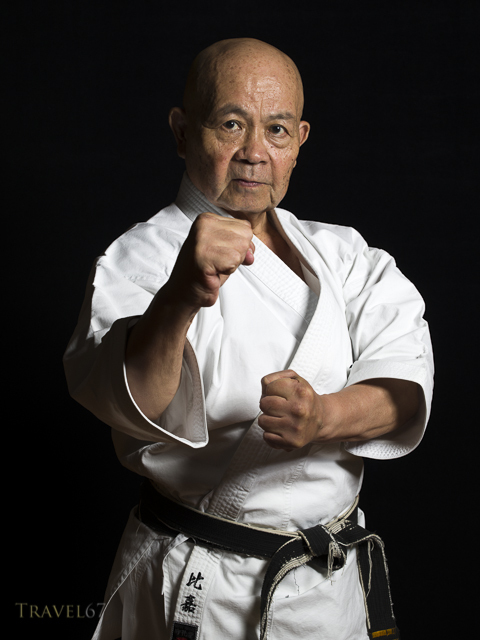 And we need a big picture of Minoru Higa sensei to put on one of our wall. I was wondering if we could use one of yours ? The last one should be perfect. This is absolutely not for commercial use. Just sent you an email Remy with info.